The world is going Star Wars-mad at the moment, what with The Force Awakens hitting cinemas this week. To mark the event, Nintendo Life contributor Gonçalo Lopes has uploaded the behind-the-scenes documentaries which were included on Star Wars Rogue Squadron II: Rogue Leader and Star Wars Rogue Squadron III: Rebel Strike as unlockable extras. The videos show the Factor 5 team hard at work on both games, and offer a fascinating insight into how games were made over a decade ago (lots of soft drinks and beer, it would seem). Footage taken from trade shows - where the games were first demoed - is also shown. In addition to this, Lopes has also released a chiptune tribute album to Star Wars, which you can check out here. Also, don't forget to check out our exclusive making of Rogue Leader piece, as well as our feature on the five best Star Wars games on Nintendo systems. Shame they never released that compilation with all three titles. Maybe they'll get the remaster treatment someday. ...or maybe even a new game. We need to make some noise, "Star Wars Rogue Leader IV: Black Leader" needs to become a thing! Nintendo, put some money down, we need more Nintendo exclusive Star Wars game of this caliber. @Shiryu I would lose my big smelly poo if that happened. The first Rogue Squadron is still getting resold through the PC version on GOG and Steam today, so it's getting the most current exposure, even if it's completely outclassed by it's sequels. 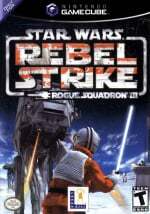 Rebel Strike was commonly seen at the time of it's release as being not quite as focused or polished as Rogue Leader, and I would agree. Being stuck on a ship does wonders for masking (or at least softening) the blunt blow of the modern technical eye being presented with technically dated material, especially character models. 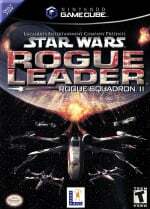 Nevertheless, it could still resurface in sales amongst bundles including Rogue Leader. @sandman89 Because Rogue Leader is probably better than the new game. One of the best Star Wars games on the GameCube. THE best Star Wars game on the GameCube, bar none. And maybe even one of the best games on GameCube in general. PERIOD. Would be amazing if they could make a compilation for Wii U or PC. They're sitting on a gold mine here considering the games are so ridiculously good. Stay on target....Stay on target....BOOM! Heck no, no HD remakes, I'm sick of those. I want a new one. I wonder if the V-wings will be in the new Sw movie. I remember that first video was on the actual game disc. I love stuff like that, especially when it's right there in the game menu. Rogue Squadron! Where's our cover?!! Return to base Commander Skywalker. We'll discuss your "tactics" in private. @DarthNocturnal Not as long as EA has the exclusive license. It's really a shame that there hasn't been a great Star Wars game in quite some time. @sandman89 Are you talking about Battlefront? It looks pretty but there isn't much there, plus its an online multiplayer shooter and we don't really want to go down that road again as far as multiplayer and communications etc do we? I personally enjoy TOR (well, mostly), and TFU was alright. But yeah, the franchise just seems to be spinning it's wheels. Battlefront is the first major thing in a long time, and while I enjoyed the beta, I can't shake the feeling that comes with knowing that a game with far more content came out over a decade ago. And at no extra cost (bar that one small DLC pack for the Xbox version). @DarthNocturnal yeah no kidding, such a shame. @sandman89 Exactly, it's probably better than nothing. Great to see some love for Rogue Leader & Rebel Strike, my favourite Star Wars games. I still play often, would be amazed if any developer topped these games for content, gameplay and polish any time soon. Still playing 14 years later, you think 'EA Battlefront' will be? "Burnout on Cannon 1! Burnout on Cannon 2!" "Hold on! My blasters are still cooling!" @DarthNocturnal These games deserve re-releases badly; Rogue Leader was brilliant and the Death Star opening was pretty much filmic.